Absolutely loved the book... the simplicity of the advice, the depth of the information, the clarity of the delivery and all of that mixed with unexpected touches of humour... a must read/listen for anyone that is embarking in a spiritual journey or is already on their way. A book that will help you understand yourself, others and the world better; a book of love, forgiveness and letting go. I can't wait for the other 2 books (I Am The Word and The Book of Knowing and Worth) to become available in audible... hopefully read by the author himself as this book was... his voice and tone couldn't be any better suited for the job!! Overscheduled? Overworked? Overwhelmed? Now you can regain your balance in body, mind, and spirit with clear, accessible remedies that can help anyone who feels as though their life and psyche are ready to fly apart at the seams. Excellent guide to chakras and life! I found the material very superficial, incomplete and uninformative. 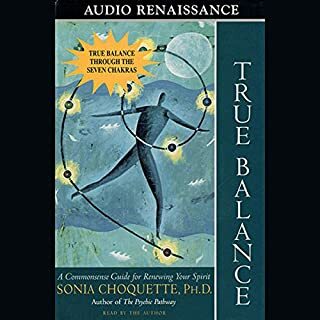 Sonia gives you a very general, sketchy overview of each chakra (which you can find in much more depth on the internet or in any other book in the subject)... then proceeds to provide examples that sound fictitious and, for lack of another word, downright "cheesy". 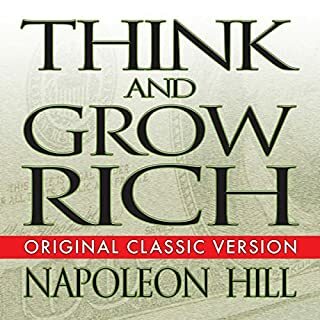 Disappointing audiobook... it might be that the printed version provides more in depth information but if the audio is any indication, I am much more inclined to seek knowledge in the subject from a completely different source. "I've compiled my best tried-and-true advice and I'm going to tell you the things that even your best friend doesn't have the courage to break to you. If you follow my formula, the man of your dreams will appear in your life, and you can be in a committed, monogamous relationship with him in less than a year. Get ready - I'm about to show you how to make all your relationship dreams come true." 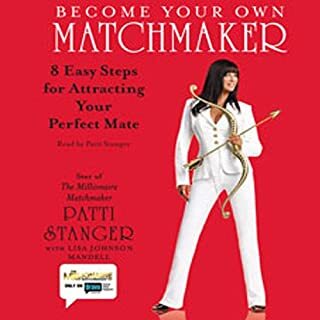 This was my first book on relationships and I found it to be surprisingly funny, easy to follow, easy to listen to and in some instances even easy to relate to. She establishes some "rules of the game" that range from common sense to absurdity (If you are unlucky enough to have been born with curly hair and are not willing to straighten it regularly... sorry! You might as well have signed a contract for maidenhood with the universe!). 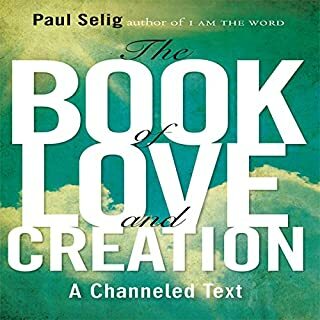 My opinion: it is a good audiobook for all of us who find themselves without a loving partner (my husband died and now that I am ready to face the dating world again I find myself without any idea of what do to or how to go about doing it) but wanting to find one. Just be prepared to laugh at a few of just plain outrageous statements and just pick the advice that suits your personality. She does give good advice and good ideas! 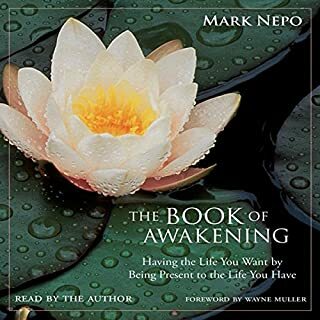 Overall I recommend this audiobook. Relationship expert Susan Page asks one of life’s most puzzling questions: If I’m so wonderful, why am I still single? And she answers it in a fully revised and updated edition of her classic book first published twelve years ago. 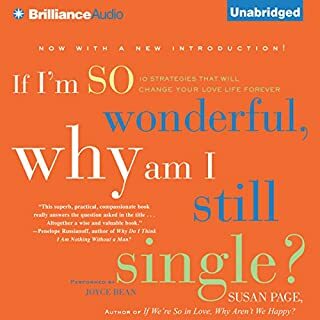 Full of Susan’s own brand of relationship advice and with a new foreword that specifically addresses love and dating in the new millennium, If I’m So Wonderful, Why Am I Still Single? helps singles sweep aside popular excuses for not finding a mate. Great book, excellent quality, well read and very interesting material. The theory is sound and the advice easy to follow. I would definitely recommend it! 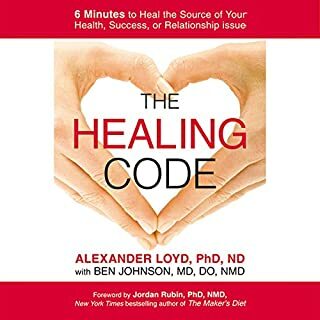 95% of the book is spent on telling you how wonderful the code is; how it heals everything: from a terminal cancer to a stubbed toe; how many people it has helped; all kinds of testimonies, stories and cases, and so much promotional material that I almost gave up on learning what the famous code was about. If you want to learn about the code and how to do it, go to the very last chapter and skip the rest (of course that you can find that exact same information on the internet and save yoursefl a few bucks). I can't say if the code works or not... so far I haven't had the need to try it out. In regards to the book, however, I found it tiresome with all the unending and annoying propaganda. I would have much prefered a shorter version centered in the subject. Would you consider the audio edition of Boundaries to be better than the print version? I have not read the printed version of this book. 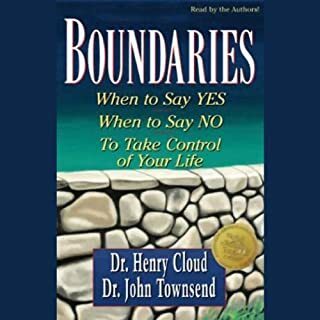 It gives very pointed and practical advice about creating and maintaining boundaries. Too many references to the bible but the advice is sound.